Luxury pieces are an investment. We take the risk out of your investment by ensuring each and every item we sell is guaranteed authentic. Each piece in our inventory undergoes a rigorous, multi-point inspection process by our expert, in-house authentication and GIA-accredited jewelry specialists. Only items that are backed by our full confidence in legitimacy and authenticity are accepted. Our authentication process begins with thorough inspection done by hand. We inspect materials, workmanship, details, any tags, labels, logos, hologram stickers, date and/or serial codes, and identify the time period of each item. Extensive research is then conducted on each item’s style and brand, which includes side-by-side comparisons and critical examination of the following components detailed below. Luxury pieces are constructed with some of the world's finest materials. Our experts work with and cross-check a wide variety of leathers, furs, and exotic skins, such as mink, sable, crocodile, python, and dozens more. Authentic designer pieces are known for fine workmanship. Logos, prints, stitching and quilting are closely examined and compared to ensure they match up with the designers' standards for quality and craftsmanship. 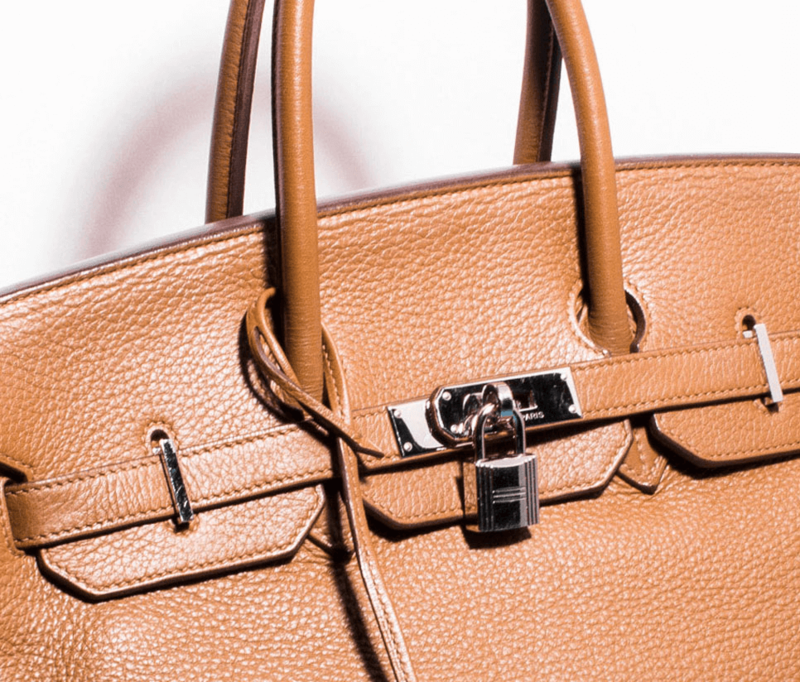 For example, when examining Hermes bags, we look for consistent and precise hand-stitching as one identifier of authenticity. We examine for evidence that any hardware used is accurate in weight and color. Fonts and markings are all triple-checked under magnification for accuracy. We confirm proper measurements of the item, and how the lining should look for each style of bag. Each designer uses details that are unique to their brand.